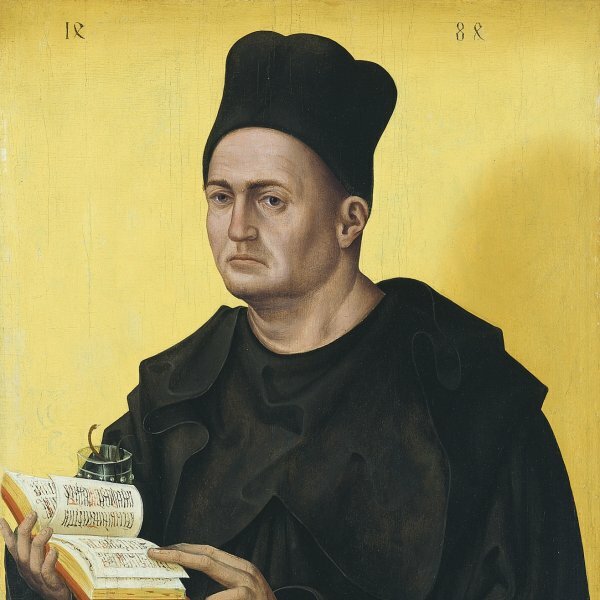 The artist who painted this unusual portrait remains anonymous. 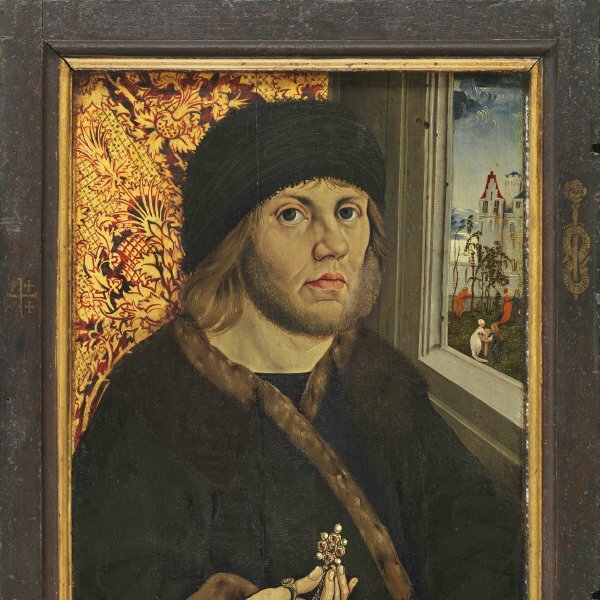 Alfred Stange and Isolde Lübbeke suggested various names including the Master of the Schottenaltar and the Habsburg court painter Niclas Reiser of Schwaz, but it was finally decided to catalogue the panel with the present description. In contrast, the sitter’s identity is known: she is Kunigunde of Austria, daughter of Frederick III, sister of Maximilian I, and wife of the 4th Duke of Bavaria. 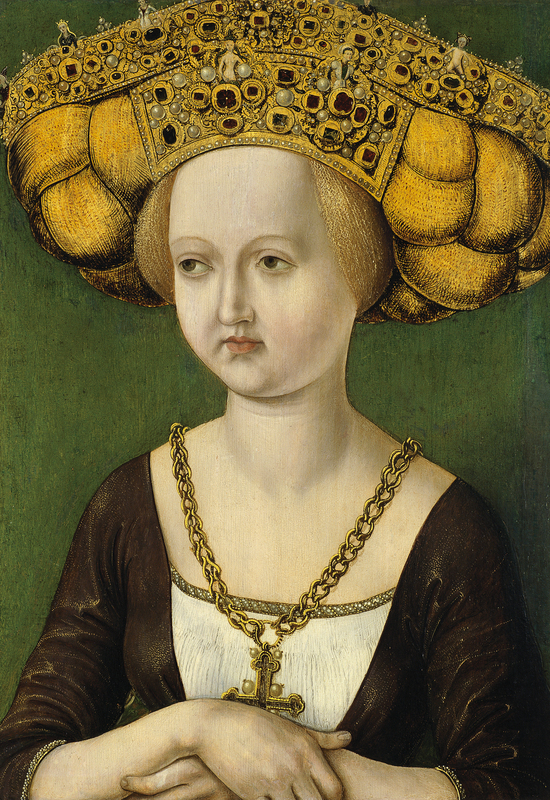 Kunigunde is depicted half-length wearing a low-cut dress and adorned with various striking elements such as her headdress, of a type fashionable in the last quarter of the 15th century, and the chain from which hangs a splendid cross. Such details confirm the suggestion that the painting was a nuptial portrait or was intended for presentation to possible suitors. It is notably similar to a late 16th-century miniature in the Kunsthistorisches Museum, Vienna.